This Easter, share the celebration with family and friends when you purchase a beautiful Easter flower arrangement. Colorful spring flowers bring the joy of Easter into any home or office. 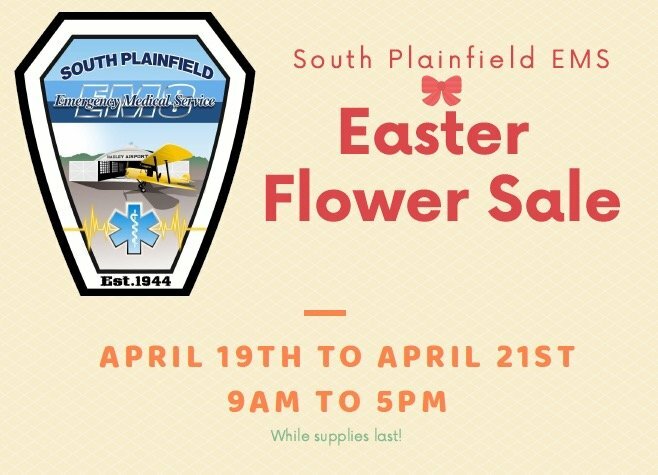 South Plainfield EMS will be selling flowers Easter weekend starting April 19th, to the 21st from 9am-5pm. Support the South Plainfield Volunteer Rescue Squad by purchasing flowers at our 2018 flower sale! When: April 19, April 20, April 21st. Your support is greatly appreciated! Thank you! !